At this point, just about everyone who uses the Internet on a regular basis is fully aware of what the term "social community" means. Just take a look at the popularity of Facebook and Twitter, and it becomes quite clear how much of an impact social networks have had on our daily lives. It's no longer a trend, but a highly influential aspect of modern day living. Those who are well-acquainted with social media know that it can be an extremely useful tool for businesses, regardless of industry. What often goes overlooked, however, is that popular social media networks aren't the end of what this type of technology has to offer. 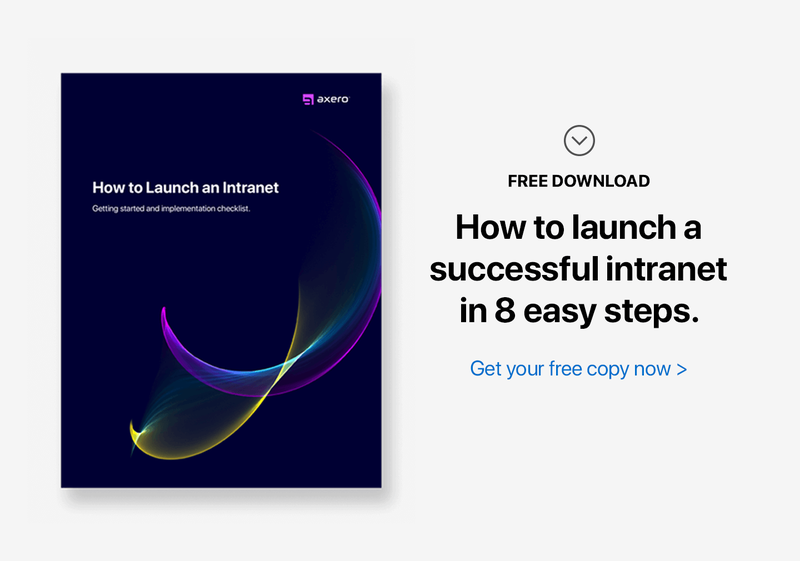 There are countless ways that the "social" element that these networks are built upon can be applied to other aspects of business, the majority of which can be combined to create a fully-functional social community on your corporate intranet. What is a corporate intranet community? In order to reap the benefits of adding a social touch to your firm, it's important to first learn what a corporate intranet community actually is. Picture a virtual space in which you, your colleagues, and your customers can share ideas, knowledge, and documents from across the globe as if you were all sitting in the same room. In many ways, a corporate intranet can replace email, forums, and cloud storage. Corporate intranet software can be used to create a fully-customizable social community tailored specifically to the needs of your business. It's an excellent alternative to "out of the box" software that forces your company to follow a specific template. Businesses grow, after all, and it's important to build a community that can do the same. 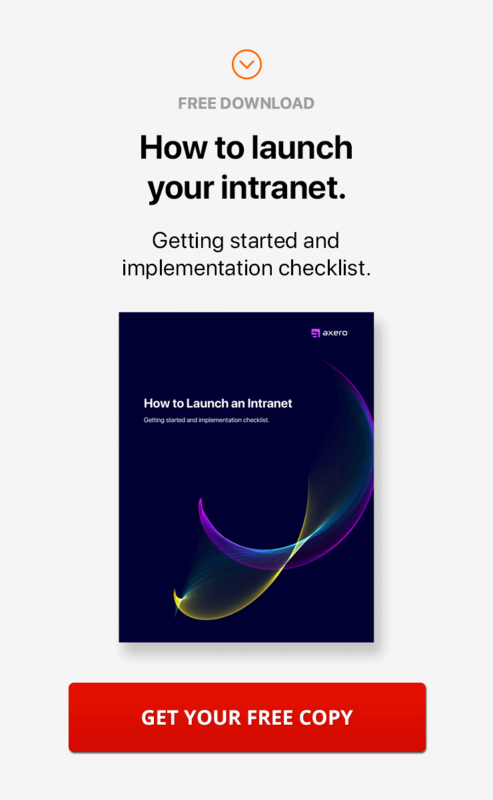 One of the most important things to note about corporate intranet software is that businesses of all sizes can benefit from implementing it. Communifire, for example, is used by organizations as small as 2 employees and as large as thousands. You can scale your needs either up or down based upon the current state of your company with ease, making it a great solution for any company looking to streamline its workflow. There are a variety of reasons why building a corporate intranet can be beneficial to your company. Many business owners find that once they take the plunge, there's no turning back. Consider the following, all of which can help to bring practically every aspect of your firm to another level. 1. You can reduce or completely replace email. Email is certainly a common tool in business. And most people can attest to the headaches that often come along with checking email on a regular basis, especially in scenarios where time-sensitive messages are missed. One of the biggest benefits that comes along with building a corporate intranet for your business is the fact that doing so can replace email. Consider the lengthy email threads that so many people deal with on a daily basis. They can not only be difficult to keep up with, but easy to misplace as well. In a corporate intranet community, conversations such as these are all kept in a single place, making it simple to browse through daily happenings and organize them as needed. Comments on blog posts and in forums are all logged chronologically as well, allowing you to pinpoint exactly when an idea was created and by whom. Another problem commonly associated with email is determining whether or not one has the most current version of a document. Corporate intranets can be updated in real time, which means that any documents are already in the system once uploaded and will usually be the latest version. Dealing with outdated documents can result in costly errors, yet it happens all too frequently when email is used to share files. 2. You don't need an office with a corporate intranet. Today's world is more interconnected than ever in the past, which has made it easier than ever for employees to work remotely. No matter where one is located, all it takes is Internet access and a reliable computer to interact with someone on the other side of the globe. Even still, some employers are hesitant to hire remote workers simply because they're afraid that it might cause more headaches than it's worth. With a corporate intranet in place, all of these concerns go away. It's best to view a corporate intranet community as if it were an office in and of itself. Your employees can communicate freely, share documents with one another, and complete work just as if they were all underneath the same roof, even if they're thousands of miles apart. The advent of corporate intranet communities has taken remote working further than it has perhaps ever been, and it's only going to continue to approve. 3. You can collaborate with anyone, anytime. Collaboration is an element that's always found in the models of successful businesses. It allows individuals to not only share ideas, but create new ideas as a result ... some of which might end up becoming essential assets to the company. Up until now, however, working remotely has made it relatively difficult for a number of colleagues to collaborate with one another. It's more common for remote workers to take a one-on-one approach, which — while very effective in some cases — could limit the potential that comes along with mass collaboration. Corporate intranets are specifically design to have the best collaboration tools. 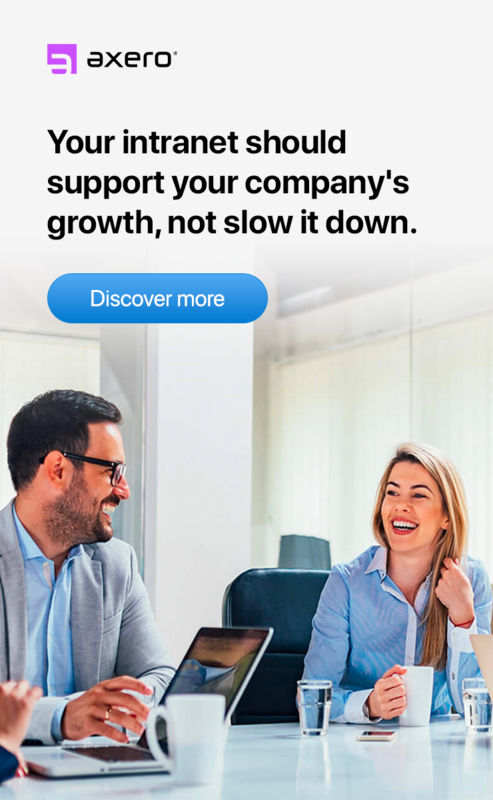 Be it via instant messaging, forum posts, updated cases, or other methods, remote workers (and even those within an actual office) can bounce ideas off of one another and create a connection that cannot be replicated via any other type of software. It's one of the most effective ways to ensure that you're getting the most out of your employees, and in turn giving them the platform they require in order to contribute their own knowledge and ideas. 4. You will build stronger relationships with colleagues. Technology has helped to streamline business in a variety of different ways, but that's not to say it hasn't come with its own issues. A big problem associated with how we work in the modern world is depersonalization. Though not static throughout all businesses, it's common to hear complaints among employees relating to the fact that they don't often have the chance to get to know each other, which is especially true for those who work remotely. In some ways, a corporate intranet can be the answer. When you build an intranet community, you're effectively allowing your employees to communicate with one another not only about business, but life as well. This adds to the whole "social" aspect, and it can be very beneficial to practically any business. Your employees will work better together if they're able to truly get to know each other, and all it takes is providing the right platform. With a corporate intranet, the work in facilitating employee relationships is almost entirely done for you. 5. You will build a great deal of knowledge. If there's one aspect of social communities that can truly come in handy in terms of benefiting your business, it's that you can build a knowledge base for your employees, customers, and potential customers to take advantage of. Corporate intranet software allows participants to create wikis and blog posts on any topic, also giving you the option to chain them together in an organized fashion that makes browsing for information a breeze. It's an excellent tool for creating guidelines and other types of official documentation to share with everyone in the space, ensuring that no important information goes overlooked. Your knowledge base isn't just for internal purposes, however. Depending upon how you structure your community, you can grant access to clients and customers as well. This is one of the newest and most effective ways to provide quality customer service and support, as it lets your customers share questions, comments, and concerns directly with you, your employees, and with other customers. This adds a personal approach to your company's customer service, which can go a long way in terms of your reputation. Finally, you can use your knowledge base to attract potential customers by posting your blogs live to the Internet. Often times, this is the most effective way to get new eyes on what your company is doing, and tends to result in more conversions. If you're posting great content, people are going to want to read it and may subscribe to your feed. Over time, your blog may even grow to the point where it becomes a major asset to your company's business development. 6. You will consolidate internal and external business processes with a corporate intranet. While not all businesses are large enough to be made up of a number of different departments, some have a hard time managing growth and keeping everything organized. Internal departments such as sales, marketing, and IT often operate on their own spectrum, which can cause a disconnect considering the fact that the rest of the company is sometimes left out. In such a case, there needs to be a way in which everything can be located in a central location, which is where corporate intranet software fits in. A key aspect of any functional intranet community is the ability to create different spaces within the community as a whole, which can either be private or public. In this way, each department in your company can be delegated its very own space. The marketing department, for example, can hash out ideas in their own private part of the community, while IT can do the same in their space. The beauty of this, however, is that both of these teams can communicate and share information that has been posted or uploaded with the many communication tools. It's a major improvement over the ways in which teams typically share knowledge and documents (through email), thus saving time, money, and energy in the long run. 7. You will create better and faster solutions. The most successful businesses in today's world work to not only identify the needs of their customers, but create effective, lasting solutions. So often, the latter part of the equation is left out, which is why some businesses simply don't make it when going up against the competition. One reason why a solutions-based approach can get overlooked is because it's usually not the easiest route to take, which is especially true for businesses that don't have a centralized place for employees to bounce ideas off one another. When a corporate intranet is properly utilized, it can allow employees to come up with effective solutions to customer needs in a much faster manner than might otherwise occur, thanks in large part to the fact that everything is updated in real time. It takes an active attempt to get employees to communicate openly with one another to work, but this typically falls into place once everyone gets used to working in a virtual community. Over time, you'll find that the solutions your company is so adept at creating will come more efficiently and faster than ever before. 8. You will uncover and identify experts within your company. 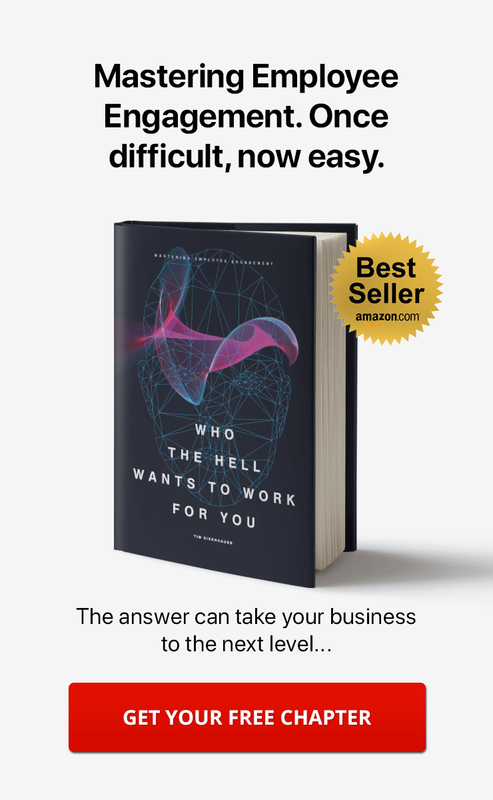 For companies that employee over 100 people, it can be difficult to keep up with everyone's unique expertise. This is even difficult in much smaller companies too. Sometimes, finding a particular solution to a problem requires you to have the best and brightest in your business working with one another in order to achieve a common goal. If you can't quickly identify who these people are, you're going to be wasting a great deal of time and energy. When your employees work in a corporate intranet community, identifying experts becomes exceptionally easy. It comes down to creating a discussion (which everyone in the network can view) about the topic at hand and calling upon anyone who feels as if they have expertise in that area to stand up and make themselves known. In a community where everyone is paying close attention to daily happenings, experts might identify themselves in minutes, which serves as a stark contrast to the effort it can take to find these employees via alternative methods. The sooner you can identify those who are best able to help with a project, the less time you'll waste in getting it off the ground.